Compatible for GARMIN, CATEYE and Bryton brands of code tables by using the corresponding adapters(included). Mainly constructed of aluminum alloy material with CNC processing, high strength and outstanding durability. With the fixing accessory, easy for you to install it on the bike stem. Also supplied with a light holder and camera adapter for Gopro, greatly widening the application range for this bracket and making it suitable for various situations. Indispensable bracket to equip you bike with other devices, such as bike computer, light and action cameras. * Other terms on pictures are not included. Compatible for GARMIN, CATEYE and Bryton brands of code tables by using the corresponding adapters(included). Mainly constructed of aluminum alloy material with CNC processing, high strength and outstanding durability. With the fixing accessory, easy for you to install it on the bike stem. Also supplied with a light holder and camera adapter for Gopro, greatly widening the application range for this bracket and making it suitable for various situations. 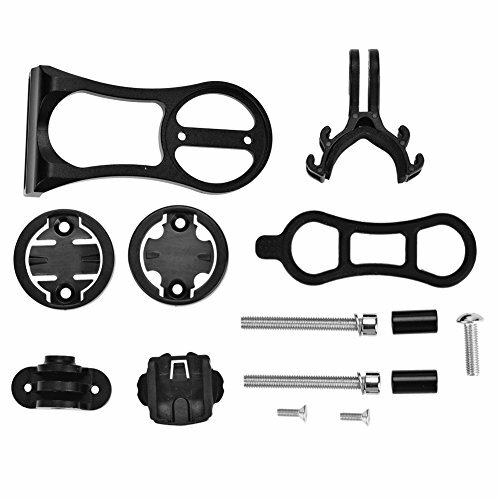 Indispensable bracket to equip you bike with other devices, such as bike computer, light and action cameras.